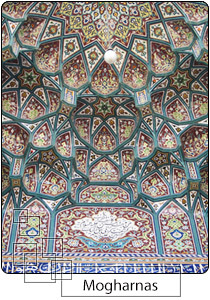 Originally, tile work is an Iranian art which was born after the flourishing of the Achaemid Dynasty in the Apadana; palace of Darious. This art dates back to the fifth millennium B.C. 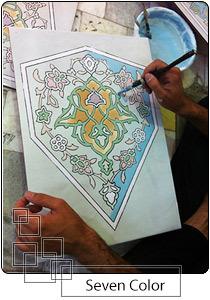 Tile work is gradually changed into an artistic decorative element used in Iran architecture. 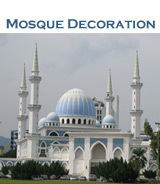 The art is considered a great ornamental industry, and also employed people in that area. 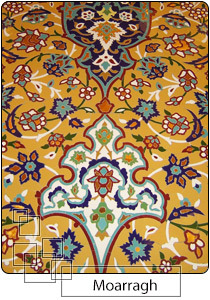 The word tile in the Farsi language is "Kashi" , which derivates from the city, Kashan, as the homeland of this industry. 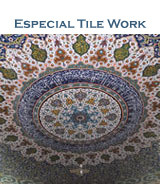 With headquarters inside and outside of Iran, Erfan International Tile company provides superior quality in Islamic handmade tiles and ceramics. EITILE Company started in 1954 and continued till now with more than 5000 different work in more than 500 mosques, shrines , universities , museums, and… . 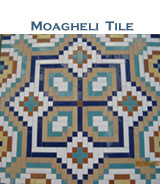 EITILE Company’s main products are Moarragh tiles (Mo T/C), Moagheli tiles (Moa T/C), Mogharnas tiles (Mgh T/C), Rasmi tiles (R T/C), Gereh tiles (G T/C), Especial Golden tiles (Go T/C) and also Especial Seven Color tiles (S T/C). 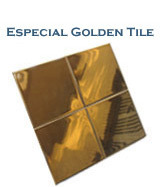 EITILE Company's specific product is the Golden tiles which are unique in the world. In fact the Golden tiles are tiles with the color same as gold and it shines same as gold and is used in specific places for interior designs such as Palace of the kings. 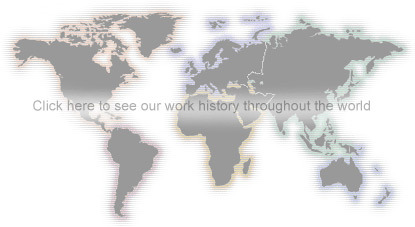 EITILE company has more than 45 experts doing special work on tiles or ceramics. 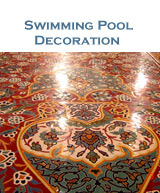 They are real artists in Designing, Manufacturing and Installing all artistic tile panels. 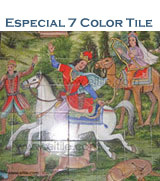 EITILE has UNESCO award of excellence in handmade ceramic tile. In this web site you can find how to have this art and how to see our company and our specific workshops. Please have a look at our FAQs, Product Overview & Product Specs (down part of this page) for your more information. 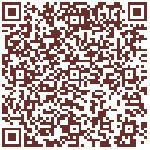 Also feel free to ask your questions via our contact information. 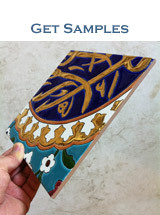 - How to buy eitile.com ceramic / tile products ? - How you can order and when you will receive the items after your payment ? 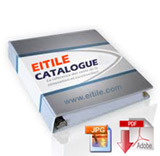 - What are the prices of eitile.com products ?